For most people, the world of finance is intimidating. Websites offering financial products and services are often confusing and suffer from low adoption and conversion. 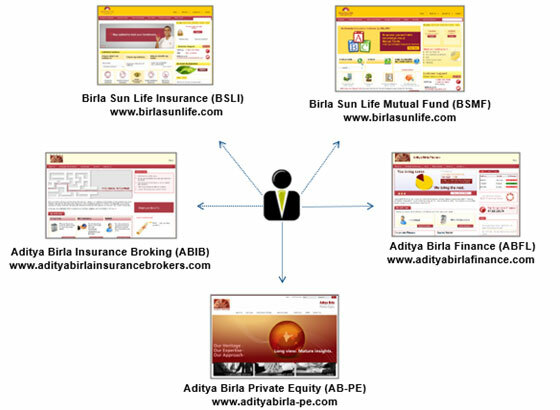 Aditya Birla Financial Services Group (ABFSG), a leading non-banking financial services conglomerate, faced a similar predicament, leading to an association with HFI — the global leader in user experience (UX) consulting. Aditya Birla’s five different verticals offered five varied customer experiences leading to a fragmented overall brand experience with the verticals competing with rather than complementing each other. ABFSG wanted to enhance customer engagement. 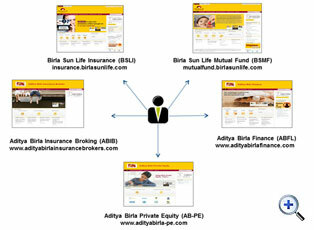 The current websites did not offer enough opportunities to cross-sell and up-sell financial products across businesses. Users were not able to take quick and informed decisions, thereby affecting the overall user satisfaction and engagement. The cost of servicing was high. HFI started with an extensive stakeholder visioning to understand business goals. Next, HFI conducted UX audits and user research to understand the current UX issues, user needs, challenges, and to identify factors to drive increased engagement. Considerable efforts were then invested in designing the website to achieve business goals and also meet user needs satisfactorily. Designs were standardized and customized to ensure a consistent user experience. Overall user engagement increased with more users visiting and spending more time. Time spent per visit increased by 145% for Life Insurance and 180% for Mutual Fund. User loyalty was also increased for the Mutual Fund segment with repeat visits going up by 180% (pre-launch data for Life Insurance was not available). 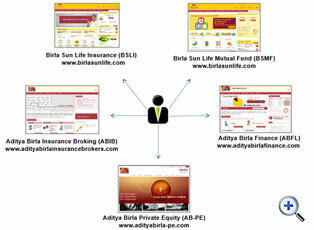 Leads generated (per 1000 unique visitors) through the websites increased by 179% for Life Insurance and 89% for Mutual Fund. The cost of online lead acquisition dropped 80%. HFI's innovative approach ensured recommendations were not force-fitted, but instead derived after understanding the market segment and user ecosystems. The business impact shows measurable success. 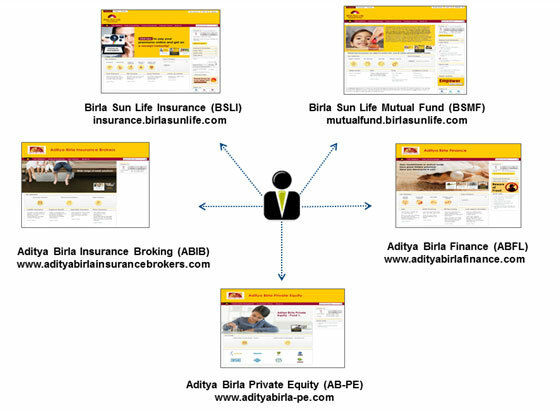 “As the user experience partner for Aditya Birla Financial Services project, HFI was given the mandate to create an integrated experience across all businesses of the Aditya Birla Financial Services Group. “Based on their expert reviews, competitive best practices, stakeholder brief, user interviews, and research, a comprehensive user experience strategy was created. HFI's user-centric design approach and team of user experience experts were key factors in creating a platform which helps "demystify" finance for users and hand-holds them through their decision-making process.